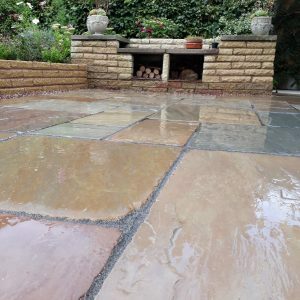 Tumbled and Aged Indian Stone paving is a natural product which closely resembles reclaimed Yorkstone but at a fraction of the cost and is also far easier to lay than reclaimed stone. 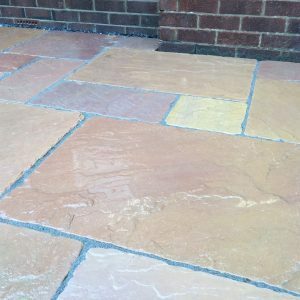 As the name implies, Tumbled and Aged Indian Stone is ideally suited to older properties and renovations such as barn conversions. 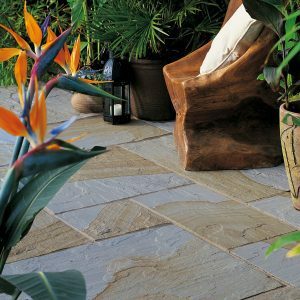 However, it will also bring a touch of classic agelessness to any setting. 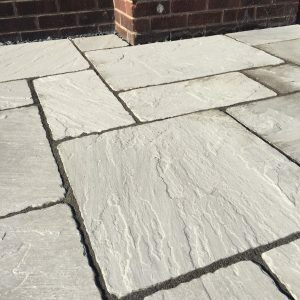 Paving Traders’ Tumbled and Aged Range can be used internally or externally, and for design projects where the flooring continues from inside to out.